In comparison, fellow contender Sen. Kamala Harris (D-CA) raised $12 million. Shakir told reporters on a conference call Tuesday morning that Sanders had $28 million cash-on-hand, thanks to funds already in the campaign’s accounts from previous efforts. He also noted that there had been 900,000 individual donations, with the average donation at $20 — down from $27 in the 2016 presidential primary. And 88% of the money raised came from donations of $200 or less, Shakir said. The pace of fundraising was faster than in 2015-6, Shakir said, noting that it took 146 days for Sanders’s first campaign to reach the total it had raised in just 41 days in 2019. 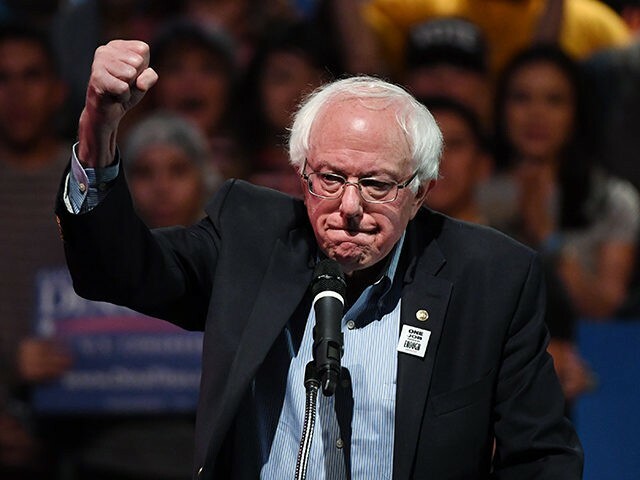 Sanders currently leads many key primary polls of Democratic Party voters, along with former vice president Joe Biden, who has not yet declared his candidacy but is expected to do so soon. “He is bringing the rainbow mosaic of humanity together, all across this country,” said former Ohio state senator Nina Turner, co-chair of the campaign. Veteran Sanders strategist Jeff Weaver noted that the campaign would be using its resources to compete in the “all-important” California primary, which has been moved up from June to March next year.